Australia specialise in the design and manufacture of heavy duty, high quality axial flow fans. Robustly designed and suitable for a range of heavy industrial to small commercial applications, Aerovent Australia fans are designed and purpose-built to achieve specific duty requirements. With reliability and longevity in mind, Aerovent Australia uses only the very best quality components available. Australia's axial flow fans are available in both direct drive and vee belt drive configurations. Variations in these configurations are available in order to suit exact installation conditions. Our belt drive axial flow fans are renowned throughout the industry for extreme environment installations, where bearings, shafts and drive belts can not withstand air stream contact such as high temperatures or corrosive fumes. hot dip galvanised coated mild steel. specialised coatings to suit client specifications. standard range impellers are available in GRP, GRN and aluminium. specialised impellers are available in mild steel and stainless steel construction. 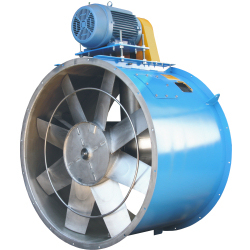 Aerovent Australia offers on-site service and spare parts for most makes and models of axial flow fans. Ask our experienced staff for technical advice, fan selections and pricing.